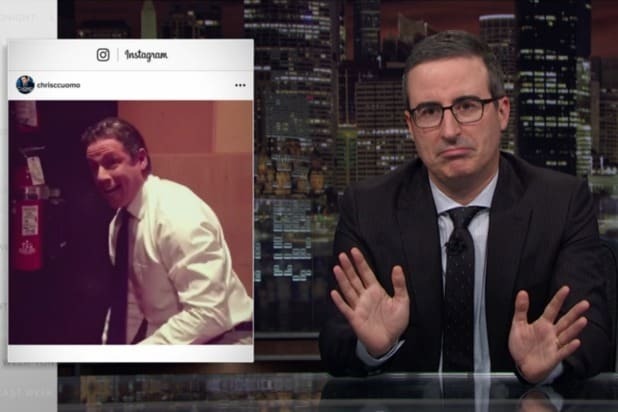 John Oliver closed Sunday’s episode of “Last Week Tonight” on HBO with a segment lampooning the Instagram accounts of various cable news personalities — such as “Morning Joe” co-host Mike Brzezinski’s upsetting videos of her pet pig. But Oliver saved most of his ire for Chris Cuomo from CNN. 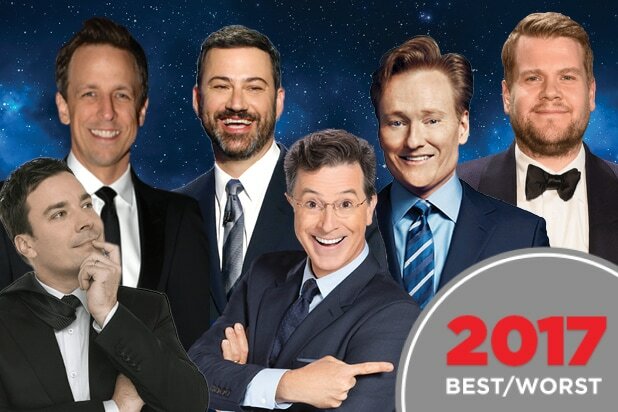 “The single greatest cable news Instagrammer — and I do not mean that as a compliment — has to be CNN’s Chris Cuomo, who is constantly posting videos with fun peaks behind the scenes of his show,” Oliver said, as a montage of clips began. The montage ended with a clip where he does hand stand pushups. Thus began another montage of clips of Cuomo, with these seeing him addressing Rose but always saying her name in a really obnoxious dad tone. In the final clip, Cuomo says to the camera, “And thank you for coming along for the ride — not you, Rose, that’s your job!” and then blows a bunch of kisses in quick succession, which caused Oliver to have a physical reaction. “Congratulations everyone, I think we just got to first base of sexual harassment with Chris Cuomo,” Oliver deadpanned. We were then treated to a clip of Cuomo holding a barbell with “Cuomo Prime Time” branding on it along with the hashtag #LetsGetAfterIt. Several other clips of him saying “let’s get after it” in a dad voice, with the last one concluding with Cuomo doing a kissy face, complete with sound effects. “Here’s an idea: instead of doing that, let’s get after that catchphrase. I’m serious. Let’s hunt it down, catch it and kill it forever,” Oliver said. The whole bit ended with Oliver suggesting his viewers adopt an alternative hashtag: #LetsNotGetAfterIt. Which Oliver illustrated with an Instagram video of his own in which he got winded walking up a few stairs.